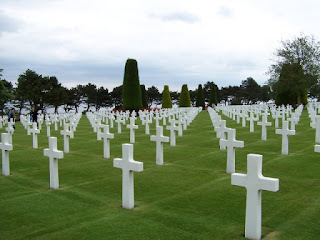 There are many opportunities while cruising to visit graves of the fallen troops. I've already mentioned Normandy, France. As expected there are many sites in Europe where you can visit graves and also learn more about the wars fought on that foreign soil. Closer to home you could visit Arlington National Cemetery, before or after a cruise that departs from Baltimore. 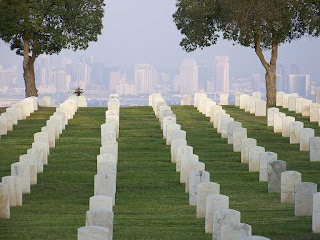 On he west coast, you could visit Fort Rosecrans National Cemetery when cruising out of San Diego harbor. 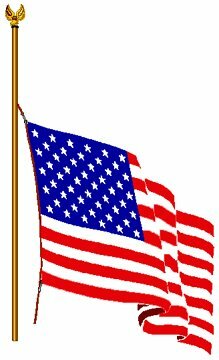 Remember those who lost their lives at Pearl Harbor while in Honolulu. 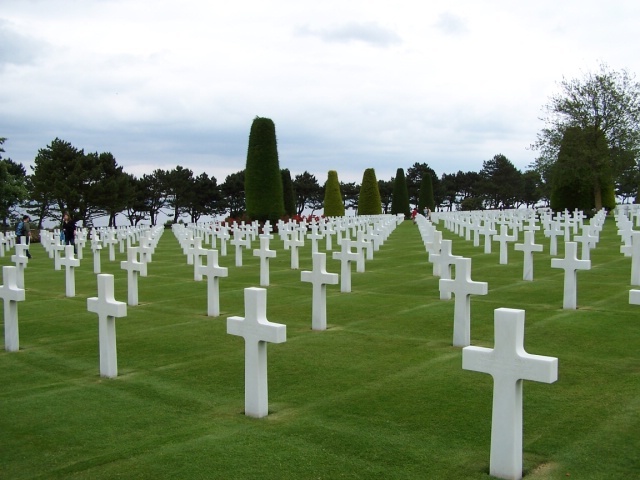 Plan a cruise to one or more destinations that tell the history of war. Many cruise lines honor the active and retired military by offering special discounts. Check with your cruise specialist for more details. 1. What are the Hurricane Hazards? 3. What actions should you take to be prepared? We have covered these topics in depth in this Hurricane Preparedness series. The table below lists links to the previous blog posts as well as government websites with additional details. For cruisers, you have one more topic to read about (below) before considering yourself Hurricane Prepared. Hurricanes have been the cause of many maritime disasters and unfortunately, there is no single rule of thumb that can be used by mariners to ensure safe separation from a hurricane at sea. Instead, constant monitoring of hurricane potential & continual risk analysis when used with some fundamental guidelines become the basic tools to minimize a hurricane's impact to vessels at sea or in port. Read More about Marine Safety. We began watching this Tropical Storm when NASA's AIRS satellite identified a low pressure area early May 27th and indicated it had the potential of forming into a tropical cyclone. (Potential for First Named Tropical Storm in Pacific). Based on the satellite imagery, it was determined that there was a very good chance the storm would develop further. Severe thunderstorms and heavy rains were identified in the system. As of the current public advisory issued by the National Hurricane Center in Miami (NHC), maximum sustained winds are 40 MPH...65 KM/HR and movement is ENE at 5 MPH...7 KM/HR. There are currently no cruise ship advisories related to TS Agatha. No ships are in the immediate vicinity of the tropical storm. Monitor RSS Feeds and the links above on this blog for any significant changes. June 1st is the official start of the Atlantic Basin Hurricane Season which runs through November 30th. As you may know, the National Oceanic and Atmospheric Administration's (NOAA's) Office of Response and Restoration has been on the scene of the Deepwater Horizon Oil Spill from the start. 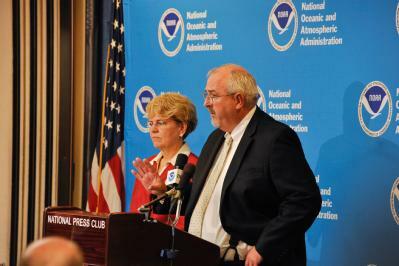 NOAA’s Climate Prediction Center (CPC) has just released the NOAA 2010 Atlantic Hurricane Season Outlook which calls for a 85% chance of an above normal hurricane season in the Atlantic region. In general, the oil slick isn't expected to have a significant impact on the hurricane. The track of the hurricane and other factors would determine the movement of oil from the slick and whether the biodegradation process might be accelerated by the hurricane. Continual monitoring is needed since the details of the evolution of the storm, the track, the wind speed, the size, the forward motion and the intensity are all unknowns at this point and may alter this general statement. We will continue to monitor both the oil spill and any developing tropical cyclone reporting details to help you be prepared for your cruise vacation during hurricane season. Continue reading my series on hurricane preparedness as this week of preparation draws to a close. The Eastern Pacific is likely to see its first named tropical cyclone of the hurricane season this weekend. NASA's Aqua satellite captured an infrared image of a low pressure area called "90E" in the Eastern Pacific that forecasters are watching for tropical development. Once named, System 90E would become "Tropical Storm Agatha." AIRS, the Atmospheric Infrared Sounder instrument on Aqua, provides scientists with infrared satellite imagery. That imagery measures cloud top temperatures and sea surface temperatures. Cloud tops of tropical cyclones are colder than -63 degrees Fahrenheit. Cold temperatures in that range are indicative of strong thunderstorms and strong convection (rapidly rising air that condenses and forms the thunderstorms that power tropical cyclones). 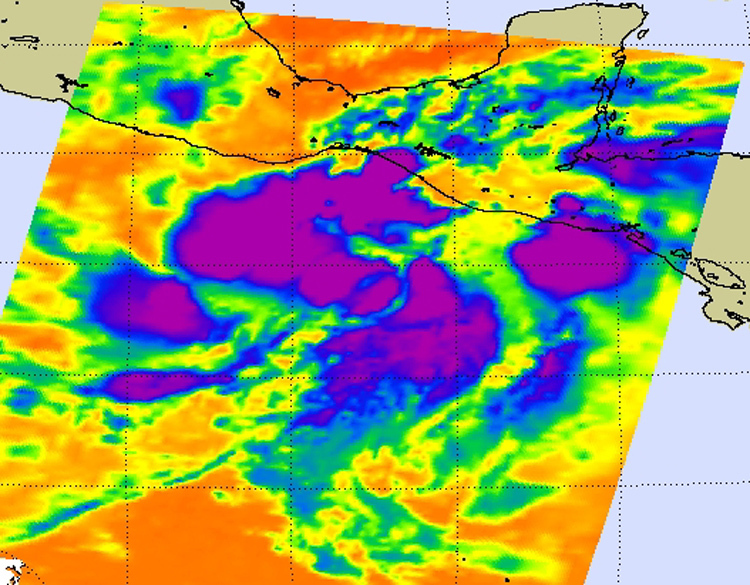 The developing cyclone, with winds estimated to be 20 to 25 knots (23-28 mph), was first spotted 205 nautical miles south of Salina Cruz, Mexico early AM on May 27th, The Joint Typhoon Warning Center (JTWC) indicated that potential for the development of a significant tropical cyclone within the next 24 hours is good. The National Hurricane Center (NHC) has begun to monitor this potential tropical storm and will issue advisories if warranted. We will keep an eye on this potential storm also and provide updates. Monitor the NHC (Eastern Pacific) RSS feeds in the left navigation pane for advisories. NASA is also tracking another potential tropical cyclone in the Western Pacific near Hong Kong. We will monitor System 90W for further development also. Cruise lines try to avoid operating any ship in the vicinity of a tropical system and they monitor the progress of these storms very closely. If there is potential threat to any of their guests or ships, the itinerary may be altered to try to avoid any interaction with the storm or any affected areas. Cruise lines will notify Travel Agencies and the public about any itinerary changes. We will post updates on tropical storms in blog posts. RSS links to NOAA advisories are also included in the left navigation pane. As we saw during the Swine Flu outbreak, Health and Safety is the prime concern for each cruise line. As always, my recommendation is for you to purchase travel insurance, so that you may obtain the necessary assistance should the need arise. Enjoy your cruise vacation - rest assured that the cruise line will do everything to make your cruise enjoyable and safe. It may be necessary for the cruise line to deviate from original published itinerary - this is their right under the contract rules. You want them to do this so that you are safe. Don't be upset if port changes are made - just make the best of your cruise vacation. I always say that any day on a cruise is better than a day at home. An “active to extremely active” hurricane season is expected for the Atlantic Basin this year according to the seasonal outlook issued today by NOAA’s Climate Prediction Center. See Related Blog Posts section below for links to NOAA outlooks for each region as well as hurricane preparedness information. The president recently designated May 23-29, 2010, as National Hurricane Preparedness Week. NOAA and FEMA encourage those living in hurricane-prone states to use this time to review their overall preparedness. More information on individual and family preparedness can be found at www.Ready.gov and www.hurricanes.gov/prepare. FEMA Administrator Craig Fugate on the importance of personal preparedness and new ways to follow FEMA during the 2010 hurricane season that begins on June 1. More links and information about tropical storms and other weather conditions can be found in the Weather tab above. The outlook is produced in collaboration with scientists from the National Hurricane Center (NHC), and the Hurricane Research Division (HRD). The Eastern Pacific hurricane region covers the eastern North Pacific Ocean east of 140oW north of the equator. For 2010, the outlook calls for a 75% chance of a below normal season, a 20% chance of a near normal season, and only a 5% chance of an above normal season. An average Eastern Pacific hurricane season features approximately 15 named storms (maximum sustained surface winds between 39-73 mph), with nine of those becoming hurricanes (maximum sustained surface winds of at least 74 mph) and four becoming major hurricanes (maximum sustained surface winds exceeding 111 mph, categories 3-5 on the Saffir-Simpson hurricane scale). This outlook is general guide to the expected overall activity during the upcoming hurricane season. It is not a seasonal hurricane landfall forecast, and it does not predict levels of activity for any particular region. As a service to my readers, we will monitor tropical storms and provide updates. Starting June 1st, we'll add the RSS feeds so that you'll be able to get up to the minute forecasts and advisories from NOAA. Cruise lines monitor tropical storms and may provide advisories of their own. Those will also be shared with you. The outlook is produced in collaboration with scientists from the National Hurricane Center (NHC), and the Hurricane Research Division (HRD). The Atlantic hurricane region includes the North Atlantic Ocean, Caribbean Sea, and Gulf of Mexico. For 2010, the outlook calls for a 85% chance of an above normal season, a 10% chance of a near normal season, and only a 5% chance of a below normal season. An average Atlantic hurricane season features approximately 11 named storms (maximum sustained surface winds between 39-73 mph), with six of those becoming hurricanes (maximum sustained surface winds of at least 74 mph) and two becoming major hurricanes (maximum sustained surface winds exceeding 111 mph, categories 3-5 on the Saffir-Simpson hurricane scale). Since 1995, we have been in an era of high activity with an average of 14.5 named storms, 8 hurricanes, and 4 major hurricanes with an average ACE index of 160% of the median. Due to the ongoing oil crisis in the Gulf of Mexico, NOAA's outlook includes statistical data of tropical cyclone activity for this region. Historically, all above normal seasons have produced at least one named storm in the Gulf of Mexico, and 95% of those seasons have at least two named storms in the Gulf. Most of this activity (80%) occurs during August-October. However, 50% of above normal seasons have had at least one named storm in the region during June-July. Norwegian Cruise Line executives hosted a private party yesterday at Howl at the Moon, Chicago for NCLU graduates. Besides being entertained, we were briefed on final details about Norwegian EPIC which begins pre-inaugural sailings in less than a month. What is Howl at the Moon? 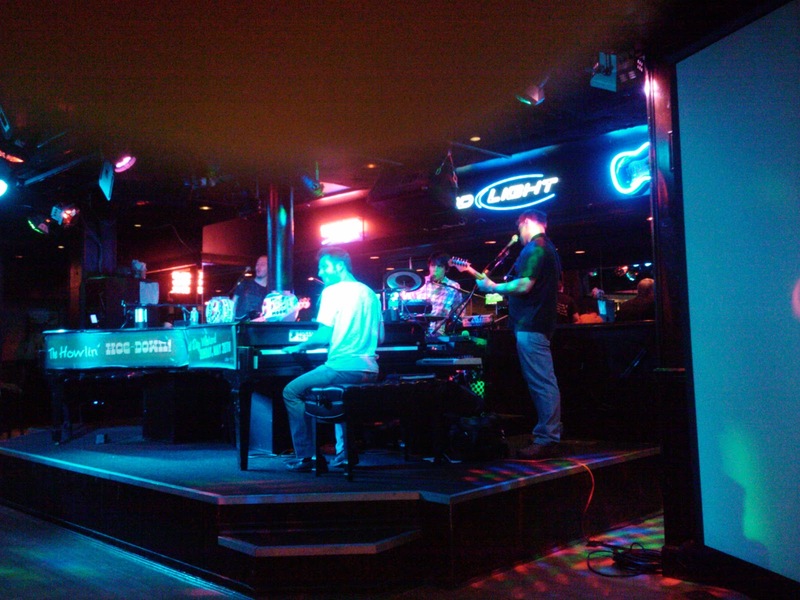 Put simply, it is a dueling piano entertainment venue where performers play audience requests and the audience become part of the entertainment too. Why was NCL Hosting a Party at Howl at the Moon? Norwegian Cruise Line has been touring select cities across the country at venues which had a significance to the Norwegian EPIC. When the EPIC debuts this summer, NCL will unveil several new entertainment options for guests' pleasure. Headliners Lounge will feature Howl at the Moon performers as one of the name-brand entertainment options included in your cruise vacation price. We will be sharing additional information about entertainment, cabins, and dining options in future columns, so be sure to come back and read about those too. NOAA’s Central Pacific Hurricane Center (CPHC) announced that projected climate conditions point to a below normal hurricane season in the Central Pacific basin this year. The Central Pacific Hurricane Center (CPHC) issues tropical cyclone warnings, watches, advisories, discussions, and statements for all tropical cyclones in the Central Pacific from 140 Degrees West Longitude to the International Dateline. The National Weather Service Forecast Office in Honolulu activates the CPHC when: (1) a tropical cyclone moves into the Central Pacific from the Eastern Pacific, (2) a tropical cyclone forms in the Central Pacific, or (3) a tropical cyclone moves into the Central Pacific from the West. The seasonal hurricane outlook is produced in collaboration with NOAA’s Climate Prediction Center. For 2010, the outlook calls for a 70% chance of a below normal season, a 25% chance of a near normal season, and only a 5% chance of an above normal season. An average season has four or five tropical cyclones, which includes tropical depressions, tropical storms and hurricanes. NOAA's CPHC is predicting two to three tropical cyclones in the central Pacific during the 2010 season. When formulating a tropical cyclone prediction, current climate patterns are compared with historical results. The current model included two climate factors: the ongoing low-activity era in the central Pacific, which partly reflects fewer eastern Pacific hurricanes moving into the region and the expectation of either ENSO-neutral or La Niña conditions in the equatorial Pacific, neither of which favors tropical cyclone activity in the central Pacific. The outlook is a general guide to the overall seasonal hurricane activity and does not predict whether, where, when, or how many any of these systems will affect Hawaii. Updated Atlantic Hurricane Forecasts are due out this week. It is anticipated that the Atlantic forecast will be more severe than the Pacific. We will bring you the updated forecasts when they are published. "In the 1970s, '80s, and '90s, inland flooding was responsible for more than half of the deaths associated with tropical cyclones in the United States." Do not attempt to cross flowing water. As little as six inches of water may cause you to lose control of your vehicle. The above information is courtesy of NOAA and the National Weather Service. It is sound advice that should be followed. Take flash flood and similar warnings to heart and move to safety. To estimate the total rainfall in inches from a hurricane, divide 100 by the forward speed of the storm in miles per hour (100 / forward speed = estimated inches of rain). We'll continue our Hurricane Preparedness Week coverage by looking at the forecast process next. Consult the NHC and other websites for additional information about hazards. Possibly the last ash explosion. Photo: Steinunn Jakobsdóttir. 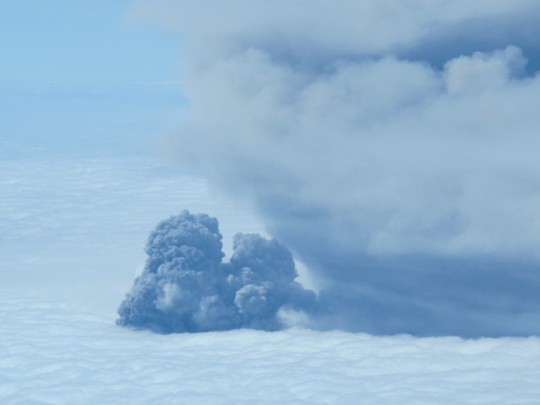 The latest information from the Icelandic Meteorological Service continues to show that the eruption of Eyjafjallajokull remains paused. Steam is still being emitted from the crater but no significant ash has been ejected since Sunday 23rd May. Issued at 1912 on Tue 25 May 2010. Scientists are reluctant to declare the volcano as dormant. It is common for erupting volcanoes to "pause" several times before completely stopping. The eruption activity is minimal and therefore no significant ashfall is expected. The volcano is still being monitored and an ashfall forecast will be issued if necessary. There is still a considerable amount of steam coming from the crater, but no ash can be seen in it. There are currently no advisories or flight interruptions. Although no ash is being emitted at the moment, while any volcanic activity continues, the Met Office will continue to monitor the situation and we will continue to bring you breaking developments. None Sustained winds and gusts <39 mph. Low Sustained wind 39 to 57 mph gusts 58 to 73 mph. Moderate Sustained wind 58 to 73 mph gusts 74 to 95 mph. High Sustained wind 74 to 95 mph gusts 96 to 110 mph. Extreme Sustained wind >95 mph gusts >110 mph. Hurricanes are known for their damaging wind. They are rated in strength by their wind also. The Saffir-Simpson Hurricane Wind Scale (right) is the rule by which their strength is rated. The Saffir-Simpson Hurricane Wind Scale was updated in early 2010. Below are links to the updated documents which were accepted by the National Weather Service. As you might expect, winds produced by stronger category storms have a greater potential of producing damage, but under the correct circumstances, even less intense storms could produce damage, especially in areas that aren't prepared in advance. Poorly constructed buildings and mobile homes have the greatest risk of damage from tropical storms. In addition secondary damage can be caused by debris such as signs, roofing materials, and small items left outside which can become flying missiles in hurricanes. Utilities, such as power, are often disrupted due to uprooted trees, fallen poles, and damage to other structures. The strongest winds usually occur in the right side of the eyewall of the hurricane. Wind speed usually decreases significantly within 12 hours of landfall, however winds can stay above hurricane strength well inland. In addition, tornadoes can be spawned as a result of the hurricane causing additional devastation. For those living in potential risk areas, now is the time to prepare for a potential hurricane. Make sure that you reinforce your structures, pick up items that could be hurled by the wind, and create an evacuation plan. See the links below for additional details and safety steps to take. We'll continue our Hurricane Preparedness Week coverage by looking at additional hazards, such as high water, next. This information is also helpful for visitors to risk areas. We'll talk about special considerations for cruise passengers later in the week.